Decongests the pores reducing the possibility of acne break outs by helping keep pores clear from the congestion that triggers acne. Encourages skin cell turnover which boosts collagen production, leading to a fresher firmer toned complexion, which also reduces fine lines and wrinkles. Helps reduce the appearance of acne scarring, hyper-pigmentation, sun spots, fades blemishes, freckles, age spots, melasma, chloasma, and post acne blemishes. Ph for Glycolic and Lactic Acids 10%-2.9ph. 20%-2.8ph. 30%-2.7ph. 40%-2.6ph. 50%-2.5ph. 60%-2.4ph. Ph for Mandelic Acid 10%-2.7ph. 15%-2.6ph. 20%-2.5ph. Ph for Neutralising Gel 10ph. Any of our facial acids can be mixed together with equal amounts of each to create a stronger facial peel, for example a 20% Mandelic Acid mixed with 20% Glycolic becomes over 40% in acid strength and a lower Ph value than the original 20% value. Link to an Independent Expert Review of Skinfab Facial Peels. 30ml 20%, 40%, 50% or 60% Glycolic Acid Peel with 50ml Neutraliser Gel and Free Applicator Brush - Normal Skin. Ingredients: Glycolic Acid, Water, Glycerine, Hydroxyethyl Cellulose, Sodium Hydroxide. 30ml 20% Mandelic Acid Peel with 50ml Neutraliser Gel and Free Applicator Brush for Sun Damaged or Blemished Skin. Ingredients: Mandelic Acid, Malic Acid, Glycerine, Hydroxyethyl Cellulose, Sodium Hydroxide. 30ml 20% or 40% Lactic Acid Peel with 50ml Neutraliser Gel and Free Applicator Brush for Sensitive skin. Ingredients: Lactic Acid, Water, Glycerine, Hydroxyethyl Cellulose, Sodium Hydroxide. Directions: Peels do not suit everybody, so before using a peel we recommend that you carry out a 24 hours patch test prior to use. Take a small amount of the peel and apply to a small, hidden area (just behind the ear is ideal). Leave on the skin for two minutes and then use the neutraliser gel for one minute, then wash off. Check the area after 24 hours. If no inflammation is apparent then apply the peel to your face. If the patch test results in inflammation then do not continue using the peel. We recommend carrying out at least 6 peels over six weeks, one per week. One 30ml bottle should give 10 to 15 peels. After the 6th peel, rest the skin for two weeks before resuming if further peels are desired. First ensure your skin is clean using our natural cleanser, rinse and dry before peel application. Using the brush or cotton pads that we have supplied for free, apply the peel solution on to the skin. Leave the Acid Peel on your face for 1 or 2 minutes. For each subsequent application (One per week for six weeks) increase the time by 1 or 2 minutes, total 8 minutes. After 1 to 8 minutes of leaving the acid peel on your face, simply rinsing with water is not effective enough at neutralising the acid. Therefore take a small amount of the neutralising gel and apply to the area treated. The gel will immediately neutralise the acid, leave to dry for 1 to 2 minutes and then rinse with warm water to remove the gel. The gel also minimises post application inflammation by ensuring that none of the acid is left on the skin. Once your skin adapts to the new treatment and after your first six treatments over six weeks, it is safe to increase the peel use to twenty minutes on your face for better results, but only after a two week rest from your first six weeks of treatments. After each treatment it is very important to use our "100ml Aftercare Lotion" (bought separately), without it your skin will get sun damage ageing and won’t be soft enough for the peel to have worked to its full potential. Which type of peel is best for your skin? As a rule of thumb peel selection is best made based on the individuals skin type, though specific skin issues will also influence the choice. Alpha Hydroxy Peels - Glycolic Acid for Normal skin. Lactic Acid for Sensitive skin. Mandelic Acid for Sun Damaged or Blemished Skin. Beta Hydroxy Peels - Salicylic Acid for oily, combination and/or acne prone skin. Which Strength of Glycolic, Mandelic or Lactic Acid? 20% - light peel providing mild exfoliation, ideal for first timers. 40% - medium peel providing deeper exfoliation, recommended for those with experience of lighter peels. 50% to 60% - Use with caution, experienced users only for strong peel producing significant exfoliation and skin resurfacing benefits. Prolonged weekly use will gradually improve shallow acne scarring providing deep exfoliation and decongestion of the pores; eliminates blackheads; control excess oil and keep the pores clear. Which Strength of Salicylic Acid? Salicylic Acid is stronger than Glycolic, Mandelic and Lactic Acid, so the percentage of strength cannot be compared. 5% - mild enough to be used daily to control excess oil and keep the pores clear. Provides mild exfoliation and decongestion of the pores; eliminates blackheads and improves acne. Also useful treatment for Keratosis Pilaris and use as a skin toner. 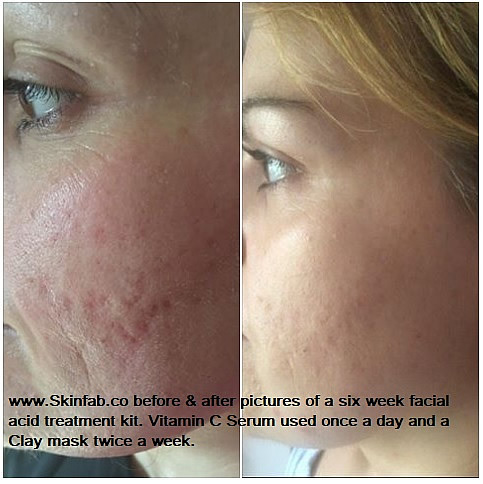 15% - medium peel providing deeper exfoliation. 20% - strong peel with skin resurfacing benefits. Prolonged weekly use will gradually improve shallow acne scarring. 30ml 20% Salicylic Peel, 50ml Neutralising Gel and cotton pads for peel application, for oily, combination and/or acne prone skin. Ingredients: Salicylic Acid, Isopropyl Alcohol, Propylene Glycol, Glycerine, Triethanolamine. 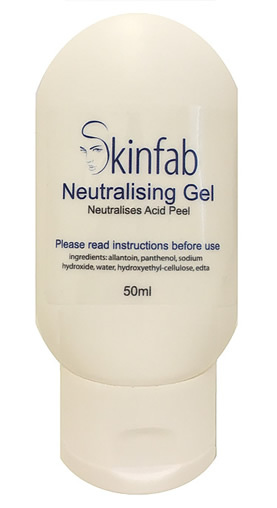 125ml 5% Salicylic Peel for daily use. Main benefits: Exfoliates dead skin cells from the surface leaving the skin softer, smoother, and brighter. Encourages skin cell turnover and boosts collagen production. Controls excess oil production decongests the pores reducing the possibility of spots and removes blackheads. Directions: Apply to clean dry skin. Dampen a cotton pad with the solution and work over the complexion by rubbing in small circles. Once you feel the pores are clear, use once per week to maintain the clarity of the pores. 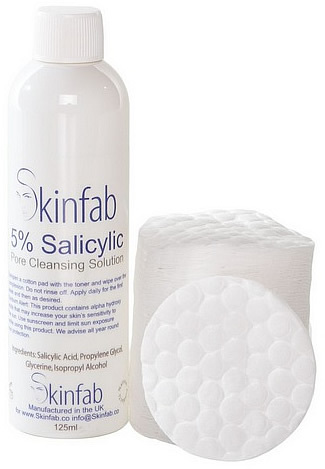 There is no need to neutralise the 5% solution nor is it necessary to rinse the skin, as it is self-neutralising. Use once per day for two weeks or untilyour skin is free of congested pores. If you feel your skin is becoming too dry then use on alternate days and any of our natural moisturisers. Ideally also use our "Acne-Clear Lotion" to reduce oil production and assist in keeping the pores free of congestion. What to expect: Home peels (essentially our entire range) are considered safe for home use because they are significantly gentler than surgical peels. Whereas a surgical peel needs to be performed just once to produce dramatic results (and involving two weeks downtime while the skin recovers), home peels require several applications - ideally 6 over six weeks - to yield significant results. The skin will respond to the initial peels and will improve the softness and smoothness of the complexion, however more significant improvements will require several applications. Due to the 'gentleness' of the home peel there is little downtime. Indeed, within a few hours of application, the skin will have settled down and any redness dissipated. There will be little obvious evidence to others that you are undergoing a series of peels. The skin does not actually peel - home peels exfoliate the very thin surface layer of skin, and so at most you will see flaking of the skin rather akin to the skin of flaking you might experience if you have ever suffered mild sun-burn. We receive countless e-mails from people who write to say that they have made the first application of their peel and cannot see any difference! A single application of a home peel cannot improve your complexion overnight - it must be given time. You will see improvements but be patient, it will take two to three days after your first peel application, or even the second weeks application before you start to see results. These facial acids will make your skin more prone to sun-damage, to prevent that we advise you use our after care treatment "100ml Aftercare Lotion" bought separately or as a kit. Our "100ml Aftercare Lotion" is a special formula of organic sun screen SPF15 with skin conditioning agents. We also stress please DO NOT USE ordinary sun screens that use mineral based sun blocks such as Titanium and Zinc Oxides, because mineral based products block your facial pores and lead to spots. Our sun screen post peel is much kinder to skin and can be used as a daily sun block lotion. Please use the "100ml Aftercare Lotion" sunscreen when outside, especially in strong sunlight. Ingredients: Om-Cinammate, Aloe Vera, Panthenol - Vitamin B5, Taurine, Water, Glycerine, Cetearyl Alcohol and Polysorbate 60, Flax Seed Oil, Almond (Sweet) OIl, Passionfruit Oil, Perilla Seed Oil, Hydrolysed Jojoba Esters (&) Water, C12-15 Alkyl Benzoate, Octyldodecyl Olivate, Cetearyl Alcohol (and) Cetyl Palmitate (and) Sorbitan Palmitate (and) Sorbitan Oleate, Cetearyl Olivate, Sorbitan Olivate, Avena Sativa Flour, Benzyl Alcohol (&) Dehydroacetic Acid (&) Sorbic Acid (&) Tocopherol, Hydroxyethyl Cellulose, Potassium Sorbate, Citric Acid.